BBC News has reported that the new companion on Doctor Who is Pearl Mackie. This announcement came out on BBC One during the halftime of the FA Cup semi-final match between Everton and Manchester United. Replacing Jenna Coleman, who left the series in 2015, Mackie is set to join The Doctor in the new series starting in 2017 along with Peter Capaldi returning as The Doctor. Filming for this series will begin later this year. Mackie graduated from Bristol Old Vic Theatre School in 2010, played Anne-Marie Frasier in Doctors in 2014, and is currently performing in the National Theatre’s West End production of The Curious Incident of the Dog in the Night Time. 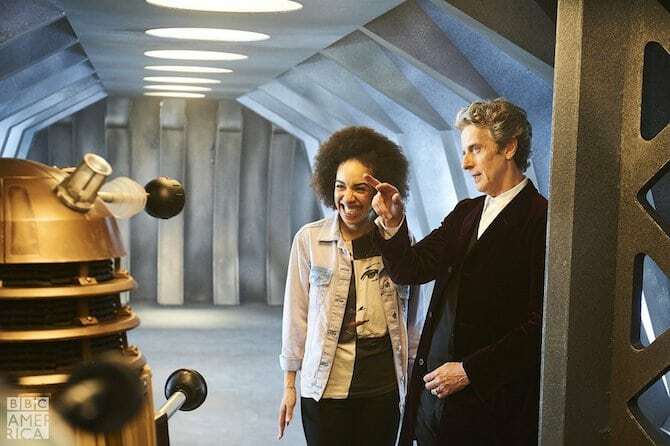 While I’m certainly sad that we will not get to see this new companion until next year, I’m really excited for this change in cast. I think she’s going to be a wonderful edition to the new Doctor Who series. What do you think?